Recent studies, findings, and a long history of medicinal use has shown the benefits of turmeric for a better brain. Turmeric is an essential ingredient of south Asian food .It’s powder is widely used as a spice in curry by people residing in South Asia. The medical benefits of turmeric have been studied extensively in the past decade. Although useful for its anti-inflammatory effect in several systemic diseases, its usefulness in Alzheimer’s disease, a neurodegenerative disease which severs the cognitive function of human, has drawn the attention in the last decade . Turmeric is a sterile plant, the root of which is dried and crushed to make a bright yellow spice. It has been used widely in India for last 2500 years for its antiseptic, anti-inflammatory and carminative properties. Turmeric contain a natural phenol called curcumin in it. It’s the curcumin that is found to be responsible for all these properties of turmeric. The bright yellow color of turmeric is also due to the presence of this natural phenol curcumin. Alzheimer’s disease is a neurodegenerative disease with progressive impairment in cognitive function. Memory is the most compromised aspect of cognition in Alzheimer’s disease. Loss of memory is called dementia and Alzheimer’s disease is the most common cause of dementia in the elderly people. The frequency of this disease increases with age. Various researches have been conducted, both in animal and humans throughout the world regarding the role of turmeric in preventing Alzheimer’s. Study done at Singapore showed that people eating curry showed better cognition than those who did not eat curry. The prevalence of Alzheimer’s disease in adults aged 70-79 years in US is 4.4 times higher than that in India. These are some of the epidemiological data supporting the role of turmeric in Alzheimer’s disease. As mentioned before, the chemical identified in turmeric, which plays a crucial role in preventing Alzheimer’s disease is called curcumin. It prevents the formation of amyloid plaques which is a hallmark of Alzheimer’s disease. Amyloid plaques are neurotoxic and are responsible for the loss of neurons eventually leading to loss of memory present in AD. 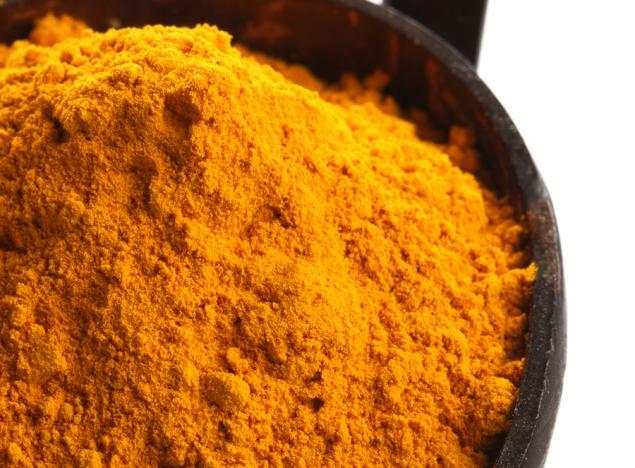 Experiments done in lab animals have shown that curcumin prevents the formation of amyloid plaques by its antioxidant and anti-inflammatory properties. Similarly, it also prevents the formation of amyloid plaques indirectly by lowering the blood cholesterol level. So, adding a small quantity of turmeric powder daily in your food might be of great help to your brain in long term. It is also a cost effective way of preventing alzheimer’s disease given the large budget that is currently being spent in tackling this disease in Europe and the US. As the consumption of turmeric has already been a difference behind the high incidence of Alzheimer’s disease in west as compared to Asia, its time to promote its use worldwide. To conclude, start using turmeric powder folks, the experimental results are not that bad!!! Medical Benefits of Turmeric for Brain Cognitive Function. Drinking turmeric tea daily may well increase your life span, suggests Dr . Andrew Weil. Adding one teaspoon of turmeric powder to 4 cups of boiling water, simmering it for 10 minutes and adding honey to taste can do the trick. • Adding turmeric to meat can reduce the levels of cancer causing heterocyclic amines (HCAs) by up to 40 percent, according to researchers from Kansas State University.